Recently, i have formatted my laptop (windows 7). Now my arduino with atmega 8 chip shows as unknown device in device manager. I updated driver from drivers folder in arduino folder, but now my arduino appears as usb serial convertor on device manager. It doesnt even show up in ide. I tried a different arduino board ( arduino nano), even it ended as being shown as usb serial convertor. Can i get some help on what should be my next step? The arduino boards are ok for sure. The problem arised after formatting my laptop. Can you post a close up image of the 'arduino' you have! or tell us what chip yo have next to the USB port. You may be installing the wrong driver! Arduino used to work before with that drivers. Boards with an FT232RL chip are supposed to show as a USB serial adapter (same with Arduino clones using CH340G or CP2102 serial adapter). As far as your computer can tell, that's what they are: a USB serial adapter. 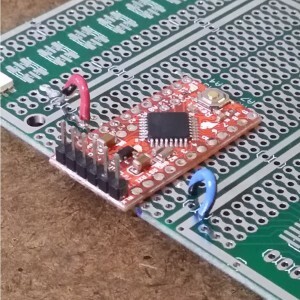 USB connects to one side of the chip, and serial lines go between the USB serial adapter chip and the microcontroller (atmega8 or 328p or whatever your board is based on). No mechanism exists by which the computer can know that the serial lines coming out of this serial adapter chip happen to be connected to a certain microcontroller. So there's nothing wrong just based on it describing the device as a USB serial adapter. Does it create a COM port that shows in the IDE's tools -> port menu when connected? If so, it should be all good. It doesnt create any com port and doesnt show up on ide also. Then it could be that your USB cable is not a data cable. No i am using the same cable i always use and same problem is with my arduino nano and it got different cable. You did a clean install of your laptop with Windows 7. I seriously doubt that you went in afterwards and re-installed all the drivers starting with the chipset driver. Can you elaborate on how should i use these drivers? I guess i have missed few drivers. So can i get some help about what should i do? Thank you everyone for all of your support. I updated the chipset driver. Also i used those ftdi drivers provided by you. Now my arduino works like a charm. Again thank you all.